Ms. Dias was seen opposite Jennifer Lopez and Marc Anthony in the film El Cantante and as the girl gang leader Juanita in the film All Night Bodega. She recently made her debut as Assistant District Attorney Toni Gonzalez on the TV show CASTLE. She starred as Jocasta in OEDIPUS EL REY at the Magic Theatre and is the star of TREE OF FIRE at the Ari Rosenthal theatre in LA. 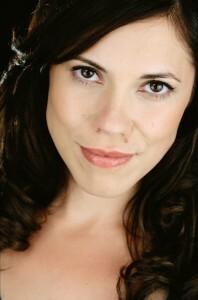 Other roles include Conchita in “Anna in the Tropics” at the Seattle Repertory Theatre and at The Maltz-Jupiter Theatre (co-production), directed by Ms. Sharon Ott. Some favorite credits include: NYC- OFF-BROADWAY: New York Theater Workshop – “Light Raise the Roof” by Kia Corthron; Manhattan Class Company – “Commit”; Intar 53 – “Young Valiant” directed by Michael John Garces and “Tight Embrace” directed by Ruben Polendo; Blue Heron Theater – “The Ontological Detective”; Cherry Lane Theatre – “Fuente” by Cusi Cram; REGIONAL : Williamstown Theater Festival – “The Tempest”; Eugene O’Neill Playwrights Conference – “La Llorona”; Edinburgh Festival Fringe – “Joan of Arc”; TELEVISION – Third Watch; Law and Order SVU; Saturday Night Live; FILM – “All Night Bodega” winner of the 2002 NYC Latino Film Festival; “Sunstorm” starring opposite Bo Derek and Stacy Keach ; “ Diega!”; and the upcoming film “Rebel” (lead role). Ms. Dias is a graduate of Mason Gross School of the Arts at Rutgers University. She is also a recipient of the Princess Grace Award for Theatre.